St George Naturopath & Massage Therapy Clinic in Hurstville is widely recognised as one of Sydney’s most advanced Naturopathic Clinics. Under the guidance of Peter Kelly, a highly qualified Naturopath and Massage Therapist St George Naturopathic Clinic offers a range of services to improve and enhance your health, weight and general well being. Using natural medicines to repair and stimulate the body’s natural repair mechanism. Herbal medicine has been used for thousands of years by nearly every known race and culture to heal the body. Today’s naturopaths use modern science to help prescribe the ideal herbal medicine for each individual patient. A fully qualified and experience massage Therapist can alleviate stress, headache, pain, insomnia and many other ailments. With diplomas in Remedial Massage, Aromatherapy Massage, Lymph Drainage Massage and Remedial Therapies, Peter Kelly can make a huge difference to the way you feel in either a 30, 60 or 90 minute massage session. By using scientifically proven methods of finding out what you are allergic to, Peter Kelly can identify foods and additives to avoid. Many people believe that having a healthy diet is enough but the truth is that some of us are allergic to even some of the healthiest foods. Peter Kelly is one of only a few Naturopaths trained to perform a Bio-Impedance Analysis (BIA). This will measure your Fat Mass, Muscle Mass, Biological Age, Cellular Toxicity, Cellular Fluid Levels and your Cellular Vitality. A BIA is the fastest most accurate test a Naturopath can do to give him the accurate information he needs to be able to target the areas of your body and health which need the most attention. Translated “Hemaview” means “to look at the blood”. As a fully trained Hemaview practitioner Peter Kelly can take 2 drops of your blood and observe the state of your red blood cells, white blood cells and platelets. This in turn allows Peter to develop a dietary and lifestyle plan to improve your overall health. As a highly trained Naturopath Peter can advise and help men and women to lose weight effectively and safely. In fact Weight Management is one of the biggest parts of Peter’s practice. St George Naturopath & Massage Therapy Clinic is registered with ALL healthfunds and their schedule of fees is very competitive. Visa, MasterCard and Amex are welcome and you may even claim your healthfund benefit on-the-spot via iSOFT. 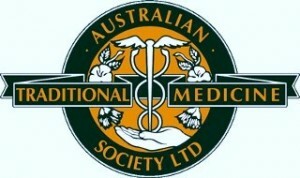 Appointments are necessary and may be made by contacting St George Naturopath & Massage Therapy Clinic on (02) 9580 6708. Hurstville, Hurstville Grove, South Hurstville, Connells Point, Kyle Bay, Blakehurst, Carss Park, Kogarah Bay, Beverley Park, Kogarah, Carlton, Allawah, Oatley, Mortdale, Penshurst, Peakhurst, Beverly Hills, Kingsgrove, Bexley, Rockdale, Banksia, Brighton-Le-Sands, Monterey, Ramsgate, Sans Souci, Narwee, Bexley North, Roselands, Riverwood.